The switchgear annexe was lower than the associated pump house and only had windows in its western wall. Electrical switchgear was installed along the eastern wall of the room. 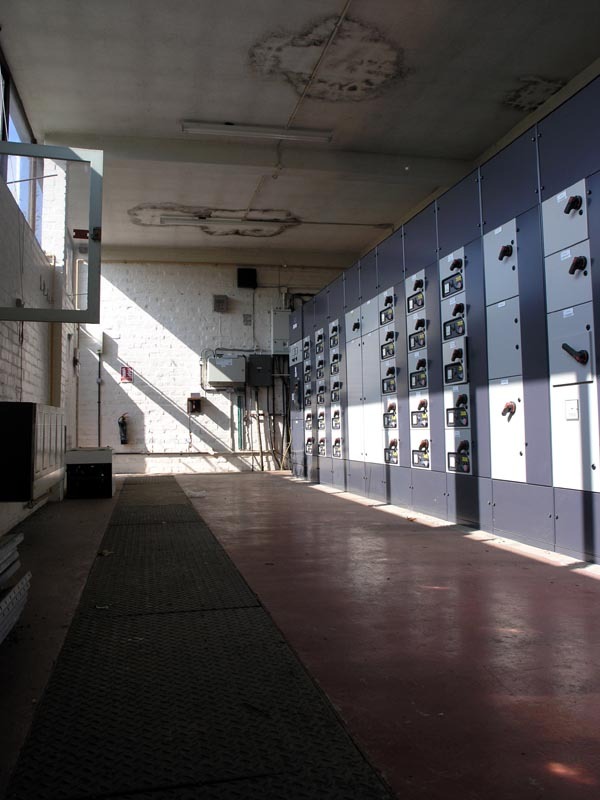 View north along the switchgear annexe.